The work of the Foundation is grounded in the belief that exceptional leaders, inspired by powerful ideas, are the key to improving society and the lives of people around the world. The Mandel Foundation has identified five areas of engagement that receive our support. Investing in leaders of educational, nonprofit and public sector institutions with the aim of deepening their impact on the larger society. The Continuing Scholars Program forges a new partnership between two academic institutions in a collaborative effort that could be a national model for student transfers between two-year and four-year schools. This academic pathway will link students from Tri-C’s Jack, Joseph and Morton Mandel Scholars Academy to Cleveland State University’s Mandel Honors College, offering a seamless transition as they continue rigorous coursework in pursuit of a bachelor’s degree. The program will provide students full-tuition scholarships and stipends; summer research workshops and training opportunities; a peer mentoring network; and dedicated academic advisors to guide students through graduation. 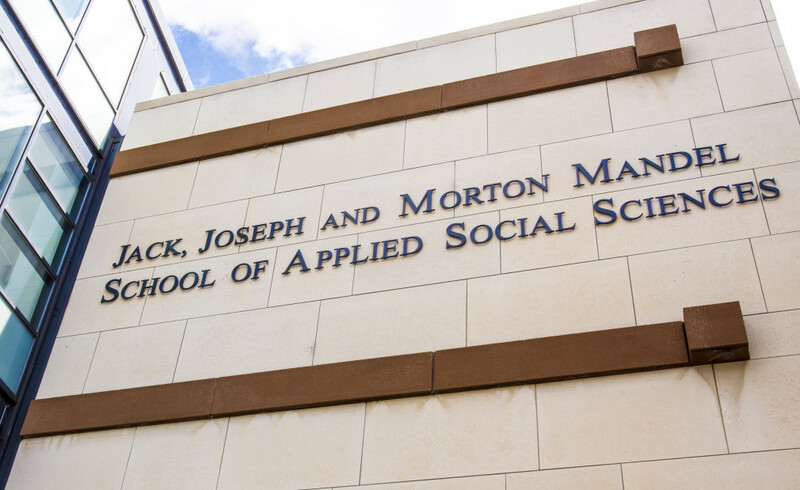 Located at Case Western Reserve University in Cleveland, Ohio, the Jack, Joseph and Morton Mandel School of Applied Social Sciences is one of the oldest university-affiliated graduate degree programs in social work and is ranked consistently in the top ten social work schools in North America. Offering Ph.D. and M.A. degrees in social work and an M.A. degree in nonprofit management, the mission of the Mandel School is to provide and integrate professional social work education, research and service to promote social justice and empowerment in communities locally, nationally and internationally. A major supporter of the Mandel School since 1988, Foundation contributions include ongoing support for the Mandel Leadership Fellows Program. Outstanding students of social work receive full tuition scholarships to join a specialized track for future human services leaders. The course of study includes specialized seminars, fieldwork experience in clinical and community settings and individualized mentoring. The Mandel Institute for Nonprofit Leadership, an initiative of our Foundation, strengthens the capacities of talented professionals who lead – or have the potential to lead – important nonprofit institutions. The Institute’s inaugural program, the Mandel Executive Program, prepares midcareer professionals for leadership roles in Jewish Community Centers and Jewish Federations. 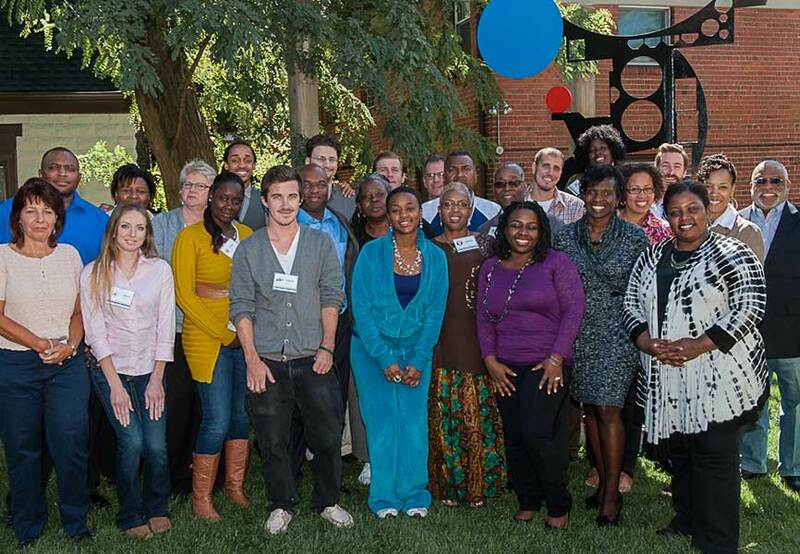 This 16-month program includes a cohort of 16 fellows with an opportunity to frame community challenges, envision communal futures, strategize for their organizations, and gain critical leadership and management skills. Founded in 2007 by the Jack, Joseph and Morton Mandel Foundation, the Neighborhood Leadership Development Program (NLDP) cultivates the diverse leadership abilities of passionate Cleveland residents who are committed to creating a city that benefits everyone. Select participants join an intensive, one-year course to hone their skills and explore strategies for neighborhood improvement, and then join the network of program graduates. The NLDP envisions a new vanguard of engaged neighborhood leaders who are prepared and committed to creating progressive change in a variety of areas throughout the city and region. The program has more than 140 graduates. Fostering excellence in the management of nonprofit and public sector institutions. The Mandel Center for Leadership Excellence provides resources and expertise to identify, recruit, develop and maintain the highest quality professional and volunteer leadership for the Jewish Federation system in North America. Supported by the Foundation since its establishment in 2004, the Center also consults with Jewish Federations throughout North America on human resources and management, and offers professional development courses to Federation executives. Helping successive generations of Jews to discover the beauty of the Jewish cultural and religious heritage and to build and sustain vibrant Jewish communities. 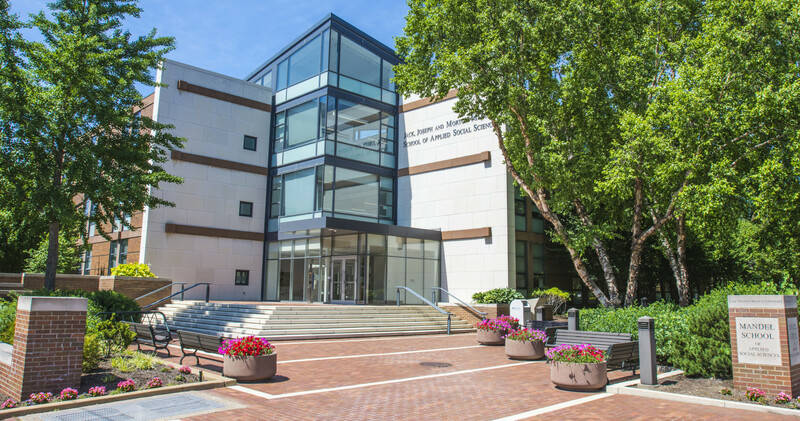 Located at Brandeis University, the Jack, Joseph and Morton Mandel Center for Studies in Jewish Education is dedicated to improving Jewish education through rigorous study of the core practices of teaching and learning. Supported by the Foundation since its establishment in 2002, the Mandel Center pursues innovative research, publishes cutting-edge scholarship, and partners with scholars and educational institutions throughout North America and Israel. The Mandel Center is home to three Foundation-endowed faculty chairs in the field of Jewish education research. The Mandel Teacher Educator Institute (MTEI) trains senior educators who are responsible for teacher’s professional development in day schools, congregational schools and other educational settings. The first program of its kind in the field of Jewish education, MTEI has prepared hundreds of senior educators from communities throughout North America since its inception in 1995. 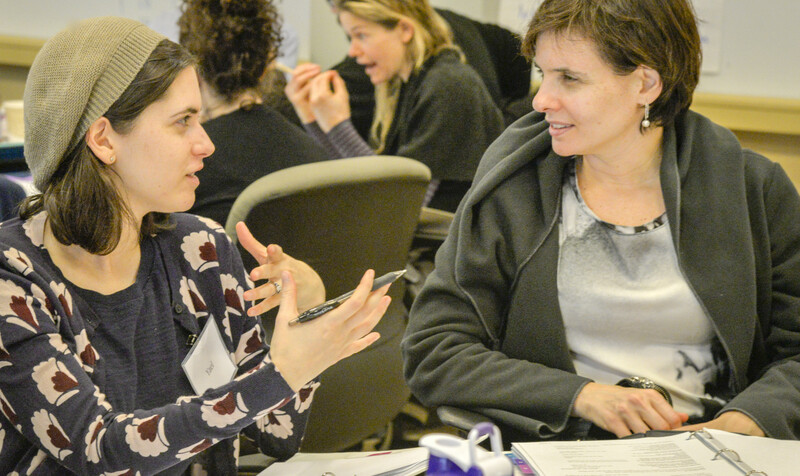 The program emphasizes Jewish content knowledge and strategies for promoting inquiry-based and collaborative professional development initiatives. The Jack, Joseph and Morton Mandel Center for Jewish Education trains Jewish community center professionals to foster Jewish living and learning in JCCs and JCC summer camps. Supported by the Foundation since its establishment in 2002, the Mandel Center offers professional development courses, training seminars and retreats, and develops special pedagogical materials aligned for Jewish community center settings. The Agnon School, renamed in 2015 in recognition of the Foundation’s gift, is a pluralistic Jewish day school committed to excellence in general studies and Jewish education. The Foundation’s contribution—one of the largest ever to a Jewish day school—established endowment funds to support teacher compensation and professional development, a learning specialist and a Hebrew immersion program. The gift also funded major building renovations. Located at the Jewish Education Center of Cleveland, the Commission on Jewish Continuity works with communal agencies, congregations and schools to develop and implement programs designed to improve the Cleveland community’s Jewish educational system. Supported by the Foundation since 1989, the Commission has successfully worked to strengthen the Jewish education profession, integrate informal Jewish educational opportunities into student experiences and broaden the scope of education from the student to the family. Located at the United States Holocaust Memorial Museum, the Jack, Joseph and Morton Mandel Center for Advanced Holocaust Studies is the leading academic institution sponsoring new Holocaust scholarship, investing in successive generations of scholars who will lead the field, undertake multidisciplinary research worldwide, and ensure this history is taught at the highest levels in the United States and around the world. Supported by the Foundation since 2014, the Center also hosts dozens of visiting fellows every year from North America, Europe, and Israel as well as places such as East Asia and North Africa. Promoting the humanities as the foundation of human aspiration and human experience. A program of the American Academy of Arts and Sciences, the Morton L. Mandel Program for Civic Discourse and Membership Engagement aims to increase the Academy’s outreach to the general public and strengthen connections among its more than 4,600 Fellows, who are the nation’s most prominent scholars, artists, scientists, and government and business leaders. Established through a 2015 Foundation gift, the Mandel Program includes two new positions: the Morton L. Mandel Director for Membership and the Morton L. Mandel Presidential Fellow. A gift of the Foundation in 2014 funded a major renovation and establishment of the Barbara and Morton Mandel Design Gallery. The new gallery and renovation expanded the museum’s gallery space by more than half. Situated in a stunning new building linking Brandeis University’s lower and upper campuses, the Jack, Joseph and Morton Mandel Center for the Humanities brings together under one roof, faculty and students from multiple fields of inquiry. Supported by the Foundation since its establishment in 2010, the Mandel Center emphasizes collaborative, interdisciplinary scholarship, hosts research groups, sponsors interdisciplinary undergraduate courses, and maintains a robust schedule of public lectures, events and concerts. Serving the Cuyahoga Community College (Tri-C), the Jack, Joseph and Morton Mandel Humanities Center brings together faculty, students and community members to participate in classes, seminars, lectures and special events that contribute to the development of civic engagement. It also endowed the deanship of the Center. Supported by the Foundation since its establishment in 2015, the Center’s mission is to prepare civically responsible citizens to lead Northeast Ohio toward a stronger social and economic future. A gift of the Foundation in 2012 anchored the Museum’s capital campaign for a major renovation. 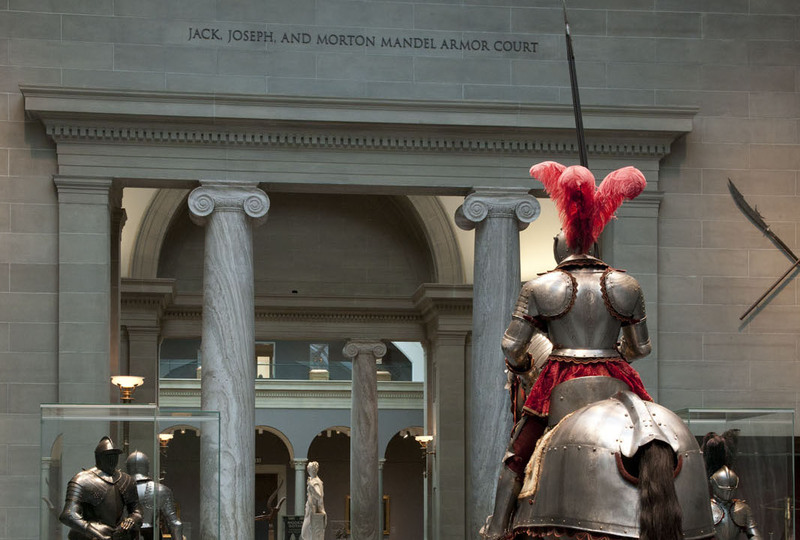 In recognition of the Foundation’s support, the Museum named its famed collection of medieval armor the Jack, Joseph and Morton Mandel Armor Court. 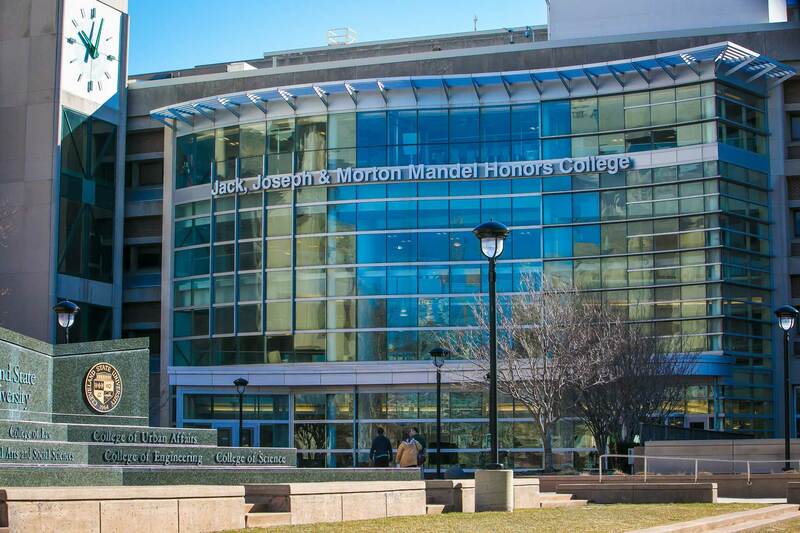 Established in 2014, the Jack, Joseph and Morton Mandel Honors College at Cleveland State University enables 500 students to combine the experience of a large urban university with the small class size of a liberal arts college. The Foundation grant provides merit scholarships for outstanding students. It also established a chair for a dean of the humanities to lead the college. Supporting neighborhood and community development, as an expression of our commitment to just, inclusive and democratic societies. Cleveland Neighborhood Progress (formerly Neighborhood Progress Inc.) is a nonprofit community development organization committed to restoring the health and prosperity of Cleveland’s neighborhoods. Initiated and supported by the Foundation since 1988, Cleveland Neighborhood Progress aims to increase the scale and pace of neighborhood development by increasing economic opportunity, building local capacity, creating private investment opportunities and advancing stakeholder objectives. The organization also acts as a catalyst for change by developing resources for neighborhoods and providing a full range of programming required for revitalization efforts. A major supporter of the Mandel School since 1988, the Foundation’s recent contributions include the Jack, Joseph and Morton Mandel Community Studies Centers, built in 2007, and a lead gift for major renovation to the Mandel School’s main building. Situated across the street from one another, the two buildings house the Mandel School’s four community-oriented research institutes: the Begun Center for Violence Prevention and Education, the Center on Urban Policy and Community Development, the Center for Evidence-Based Practices, and the Center on Substance Abuse and Mental Illness. 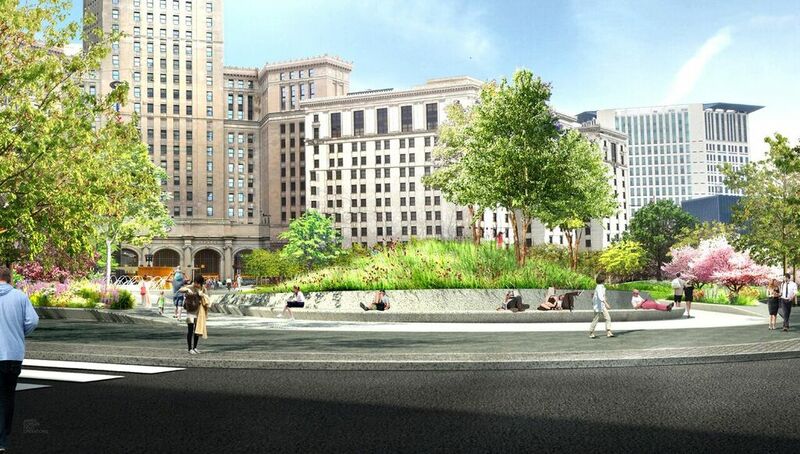 A gift of the Foundation supported renovation of Cleveland’s Public Square, transforming the plaza into a vibrant park and contributing to a revitalization of the downtown area. In recognition of the Foundation’s support, Concert Hill—a key component of the park—has been named for the Foundation. MidTown Cleveland is a nonprofit economic development organization focused on the two-mile stretch between downtown Cleveland and University Circle. Supported by the Foundation since its establishment in 1982, MidTown has helped make the area a thriving urban business district with over 500 growing companies and over $500 million in new investment. MidTown has been recognized as a national model for urban redevelopment and a leader in the country for urban reinvestment.